The S&C Research review service comes out on the first day of every month. Here is a preview of the June 2017 edition, which comes out on Thursday. Each edition covers a wide range of exciting new research but this edition has a special theme of protein! The study: Antonio, J. (2017). Casein Protein Supplementation in Trained Men and Women: Morning versus Evening. International Journal of Exercise Science, 10(3), 479-486. The researchers compared the effects of daily supplementation with 54g of casein in either the morning or the evening on changes in body composition in trained males and females who were currently engaged in strength training. All subjects supplemented with casein protein (54 grams), but one group consumed the protein in the morning (prior to 12:00pm), while the other group consumed the protein in the evening (<90 minutes prior to sleep) for 8 weeks. The subjects all increased their protein intake as a result of the 8-week intervention. The morning group increased from 119 ± 47g to 167 ± 49g (from 1.7 ± 0.6 to 2.4 ± 0.6g per kg of bodyweight per day) and the evening group increased from 142 ± 54g to 173 ± 46g (from 1.9 ± 0.6 to 2.4 ± 0.5g per kg of bodyweight per day). There were non-significant trends to decreases in carbohydrate and fat intake, such that the increase in energy intake over the intervention was also non-significant for both morning and evening groups (82 – 116kcal), and this was reflected by non-significant changes in bodyweight, fat mass, and fat-free mass. Thus, the researchers concluded that in this small group of subjects, body composition was not changed by the consumption of 54g of casein protein in either the morning or the evening, and there were no differences between the groups. The study: Fabre, M., Hausswirth, C., Tiollier, E., Molle, O., Louis, J., Durguerian, A., & Bigard, X. (2017). Effects of Post-Exercise Protein Intake on Muscle Mass and Strength During Resistance Training: is There an Optimal Ratio Between Fast and Slow Proteins? International Journal of Sport Nutrition and Exercise Metabolism, 1. The researchers compared the effects of 2 different protein supplements varying by the ratio between milk soluble proteins (fast-digested protein) and casein (slow-digested protein) on changes in muscle size during a long-term (9-week) strength training program, in strength-trained males. The subjects were allocated to 3 groups who each consumed 20g of protein post-workout. The 20g of protein comprised either 100% fast-digested protein (100-FP), 50% of fast-digested and slow-digested proteins (50-FP), or 20% of fast-digested and 80% of slow-digested proteins (20-FP). Fat-free mass increased in the FP-100, FP-50, and FP-20 groups (by 1.5, 1.7, and 1.4kg, respectively) but there were no significant differences between the groups. Arm and leg fat-free mass similarly increased by the same amount in each group. There were no changes in fat mass in any of the groups. All groups increased squat 1RM, bench press 1RM, and both knee and elbow extension torques by the same amount. Despite these similar effects, there were differences in the post-workout responses to the protein supplements. Post-workout 100-FP and 50-FP ingestion resulted in a higher plasma leucine concentration than 20-FP, and the areas under the curve over 120 minutes for plasma branch-chain amino acids and leucine were higher after FP-100 than after FP-20, and also tended to be higher for FP-50 than for FP-20. The researchers concluded that fast-digested protein increased post-workout amino acid availability by more than the slow-digested protein, but this did not translate to differences in the changes in muscle size or strength over a long-term strength training program. The study: Dudgeon, W. D., Kelley, E. P., & Scheett, T. P. (2017). Effect of Whey Protein in Conjunction with a Caloric-Restricted Diet and Resistance Training. The Journal of Strength & Conditioning Research, 31(5), 1353-1361. 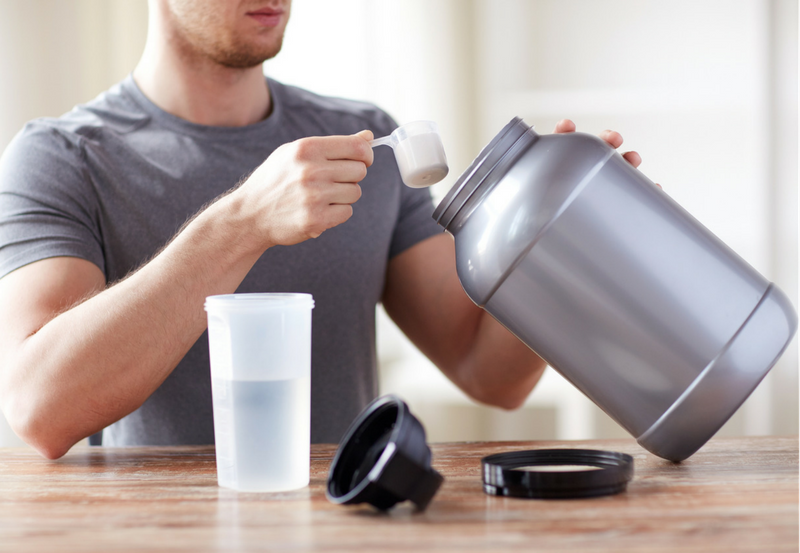 The researchers assessed the effects of a whey protein supplement on changes in body composition and strength during a caloric deficit combined with regular strength training, in strength-trained young males. The subjects were allocated to either a whey protein group (WHEY), who consumed 28g of a whey protein supplement before and after each workout (total of 56g per workout) or a control group (CONTROL) who consumed 28g of a carbohydrate (CHO) supplement before and after each workout (total of 56g per workout). All subjects took part in an 8-week program of diet plus strength training. 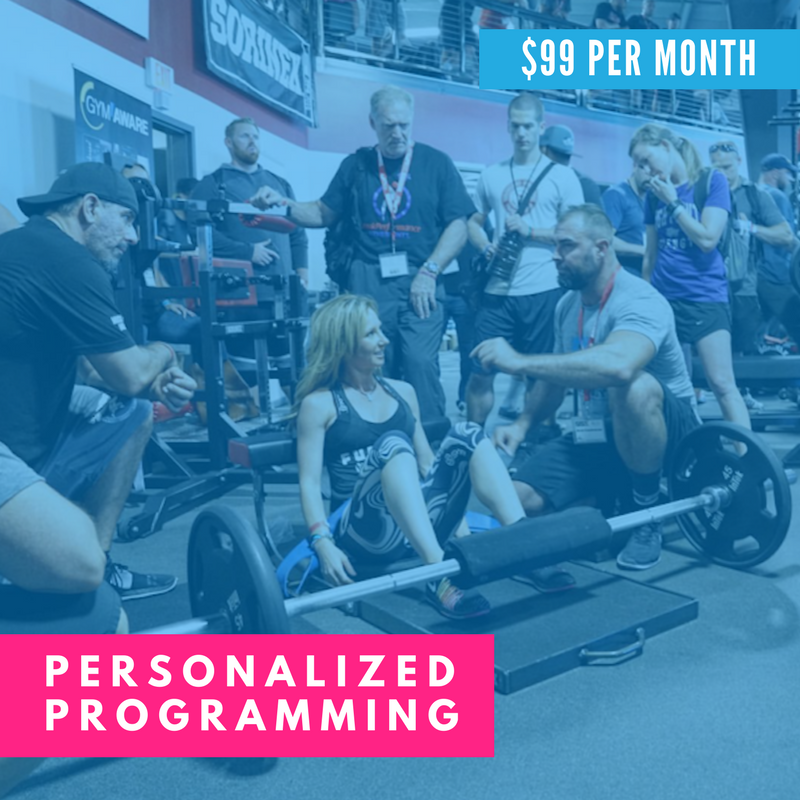 Each diet was specifically designed for each subject, based on their individual pre-training body composition, with a modified CHO-restricted approach, taking physical activity levels into account. On workout days, energy was supplied as 30% CHO, 35% protein, and 35% fat. On non-workout days, energy was supplied as 25% CHO, 40% protein, and 35% fat. Workouts were performed 4 days per week, using a body part split routine (where each muscle group was trained once per week) with 3 – 4 sets per exercise. Before and after each workout, a supplement was consumed, according to group allocation. Both WHEY and CONTROL lost approximately the same amount of weight over the 8-week period (2.3 – 2.5kg). WHEY did not lose any fat-free mass, but CONTROL lost 0.9kg of fat-free mass. Thus, WHEY lost 2.5kg of fat mass, while CONTROL lost only 1.4kg. Both groups improved 1RM squat and squat reps to failure with 80% of 1RM. Only WHEY increased 1RM bench press, and only CONTROL increased bench press reps to failure with 80% of 1RM. The researchers concluded that consuming a whey protein supplement reduces losses in fat-free mass over an 8-week period of diet plus strength training, in strength-trained young males.